On July 11th, 2018, Bloomberg News reported that the Airbnb, the prominent online marketplace and hospitality services company, will not be able to avoid a Florida-based illegal sublease lawsuit from Aimco, a real estate investment trust (REIT) operating as a landlord in South Florida. Over the past several years, Airbnb has disrupted the property rental market and hospitality in a wide range of different ways. This lawsuit could set an important precedent in future illegal sublease cases in Florida and it has major implications for landlords, tenants, and companies like Airbnb. In this post, our Miami landlord tenant dispute lawyers explain the most important things that landlords and tenants need to know about this lawsuit. Could Airbnb Be Held Liable for Illegal Subleases? Aimco is a Denver, CO-based REIT with annual revenue exceeding $1 billion. The company owns high-end real estate in desirable locations across the country, including in Southern California and South Florida. For multiple years, this landlord has been seeking a court ruling to force Airbnb to stop working with its tenants. Tenants of Aimco tend to sublease their Airbnb to tourists seeking to spend time in desirable locations. In 2017, Aimco brought a claim against Airbnb in California court. There, a federal judge ruled that federal law protects Airbnb from this claim. Aimco’s only claim would be against its own tenants. However, Circuit Court Judge William Thomas has ruled in the opposite direction, allowing the illegal sublease lawsuit to proceed in South Florida. The key federal law at issue in this case is the Communications Decency Act (CDA). This landmark 1990s federal statute provides broad immunity for internet providers and users who publish information posted by third-party users on their service. In California, Airbnb used this law as a defense to illegal sublease claims for landlords. Airbnb stated that the CDA gave the company full immunity. Under the California ruling, the only claim that the landlord has for an illegal sublease violation would be against the tenant responsible for the act. The Miami Dade Circuit court judge has disagreed with the ruling from California. According to Judge William Thomas, the CDA does not protect companies that are contributing materially to the alleged infraction. In other words, the core issue at stake in this case is whether or not Airbnb is just ‘posting listings’ for the illegal subleases or if the company is doing more to facilitate the misconduct. This has the potential to be a very important case. 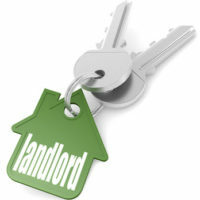 Our Florida landlord tenant lawyers will be watching out for all future developments. At Pike & Lustig, LLP, we have extensive experience representing landlords throughout South Florida. If you have any questions or concerns about subleases, or you are involved in a sublease-related dispute, we can help. For a fully confidential initial consultation, please contact us at our main office in West Palm Beach or our secondary location in Miami.